Stamp collectors, take notice. 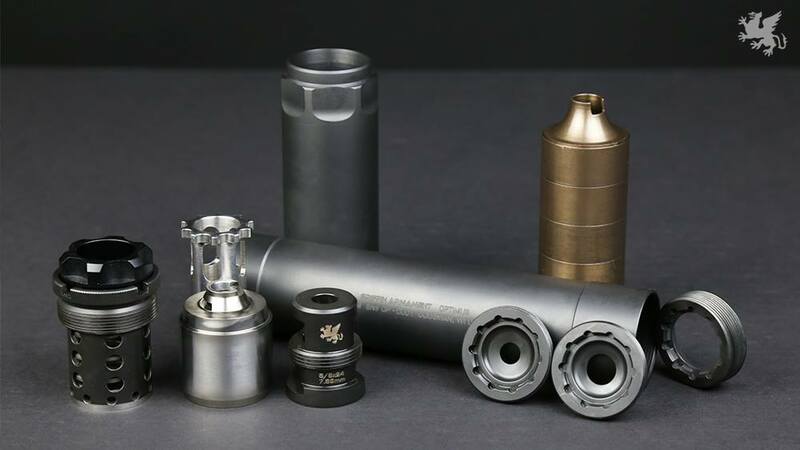 Griffin Armament announced a new silencer (suppressor if you prefer that term) today named the Optimus that looks pretty awesome. New for winter 2015 – the Griffin Optimus provides competitive flagship like performance across calibers from .22lr to .300 Winchester Magnum. With the full size configuration, (optional) mid-size config, pistol config, 3-lug config, and direct thread configurations possible, the Optimus provides unparalleled versatility to suppress a seemingly impossible assortment of firearms. One can that works from .22 LR to .300 Win Mag, and is even handgun compatible, with an MSRP of $1,095. Check out the video below. At the time of writing, I didn’t see the Optimus listed on the Griffin Armament website, but you can follow them on Facebook and Instagram to learn more about availability.